Christ’s Church of the Valley is a non-denominational multisite church in Phoenix Arizona located across the valley. We are very intentional about how we spend our money, who we work with, manufacturers we use, etc. When we started investigating pixel tape as a potential new direction for a stage design, we spent a lot of time researching the various products out on the market. The idea to implement pixel tape was birthed out of a brainstorm meeting while tossing around stage concepts. We realized that there was this tendency to rely heavily on truss to create shapes and dimension on the stage, in reviewing that process we sought to rethink our strategy. The conversation took a new direction and became about how we could highlight lines in an organic way that didn’t necessarily rely on traditional lighting fixtures. From there, the discussion turned to pixel tape as a way to augment video and become the shape of the stage. Since we were already familiar with GLP through fixture rentals we have done in the past, we included them in our research on pixel tape, and quickly came to the conclusion that their SceneX Pixel Tape was exactly what we were looking for. 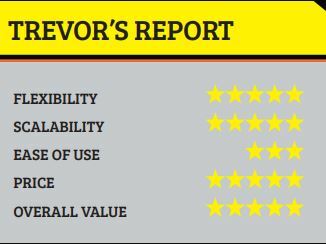 JRLD, a lighting company in Tinley Park, Illinois, run by Jason Reberski highly recommended the SceneX line, which also played a factor in our decision. We have the capability to build and install all our sets inhouse, so once the decision was made to move forward with GLP, it took us about a month to build and test the initial set. We initially introduced SceneX , and the PP16 Controllers that drive that tape for our Easter Services in 2017, and continued with the product with other stage designs, including this year’s Easter Services. The focal point of this year’s Easter installation were various sizes of geometrics shapes placed over the stage as well as upstage of the musicians. We set out to achieve an immersive environment of color and motion that carries the energy of the music throughout the auditorium. The bright-saturated colors from the tape chased and merged across the stage in stunning ways. Using our grandMA2, which controlled the media server, we were able to program the 60 universes of data quickly into our set through the PP16 Controllers. A very high CRI (color rendering index) captivated as well as supported the video running image magnification on large screens stage left and right. While the original idea was to use the tape for scenic purposes, we eventually realized that this system had much more potential than just being something to look at. Over the course of several days leading up to the Easter 2017 load in, we spent time working with the SceneX tape and controllers in a prep area outside of the stage. We discovered that we could treat SceneX as an additional system of light that can be used in a beautiful way to illuminate the stage and musicians, as well as create interesting dimensions and shapes. This system became not just about existing as a visual surface but also serving as an immersive system of light that could drastically change the feel of the room. While programming the stage in the auditorium we were able to find moments when we could take out all of the lighting fixtures and only use the SceneX tape to create unique looks, which also looks great on video. We currently have about 500 feet of SceneX, running about 60 universes of DMX control. While the tape can be cut to size, we have been very intentional about using full lengths of tape in order to prolong its life and avoid having solder points. SceneX is driven through GLP’s PP16 pixel tape driver, which utilizes industry standard sACN E1.31 and Art-Net protocols. The PP16 has an intuitive web server built in for easy setup of pixel type, universe and DMX address for each individual port. Other features include pixel grouping, universe spanning and additional RGB color order. 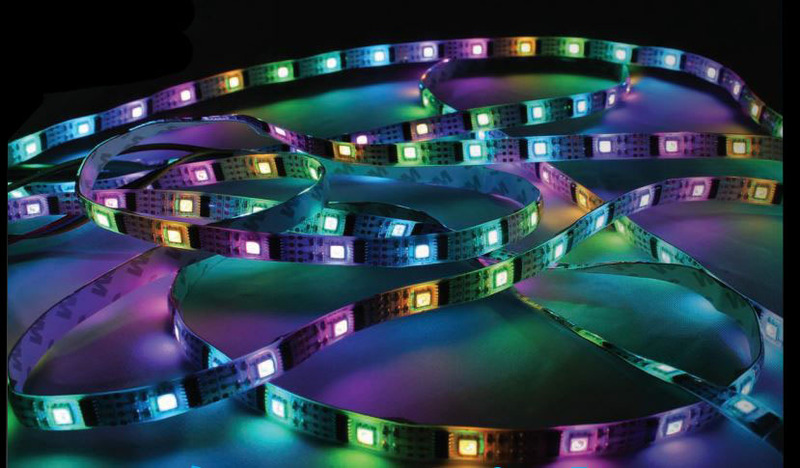 SceneX itself is fully flexible RGB pixel tape, available with a white or black PCB backing, and currently available with four different pixel pitches. At Christ’s Church of the Valley, we are currently using the 16.7 & 33.3mm versions, which provide a variety of options for stage design concepts. The pixel tape is driven from an Arkaos media server, which is programmed by a GrandMA2 console. When we reconfigure our stages, conception through execution is about three months. The process leading up to a load in includes many drawings, R&D, and plenty of build time in our shop. We use the pixel tape at our broadcast campus, and then scale that look for our other campuses using LED tape to mimic the design concept. However, if the opportunity ever presented itself, we would love to introduce pixel tape to all our campuses. Our staff building each set is responsible for maintaining the pixel tape while the stage is active; the team at the broadcast campus was trained on implementation, how to maintain and use the tape, and run the PP16 Controllers which drives the tape. Carl Wake at GLP was on our speed dial for a long time, patiently answering our questions and walking us through set-up and integration. 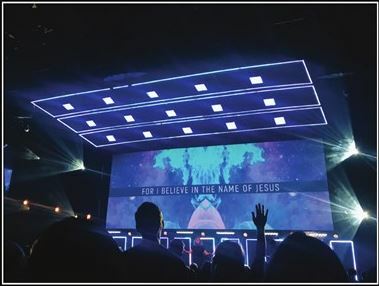 I would definitely recommend SceneX Pixel Tape to any house of worship looking for a new way to utilize lighting and video technology. It is not only a scenic system, but a budget-friendly lighting and video system as well. Versatile products like this will cause you to rethink your approach to lighting the stage.